1. For many people, this book will confirm once and for all that Roger Ailes is the de-facto head of the Republican party. Sherman's book quotes Ailes as saying to other executives at Fox News, "I want to elect the next president." It also expands on previous reports, including one by Bob Woodward of The Washington Post, that Ailes tried to enlist New Jersey governor Chris Christie and then-general David H. Petraeus to run against President Barack Obama in 2012. 2. For other people, particularly loyal Fox News viewers, the book will be dismissed as a politically-motivated attack on Ailes and Fox. Ailes has encouraged the book to be perceived this way. He said in an interview with The Hollywood Reporter that Random House, the book's publisher, "refused to fact check the content with me or Fox News -- that tells you everything you need to know about this book and its agenda." Sherman responded in an email: "During two and a half years of reporting, I made a dozen requests both in writing and in person to speak with Roger Ailes about every aspect of my book... A team of two fact-checkers spent more than 2,000 hours vetting the manuscript before publication. 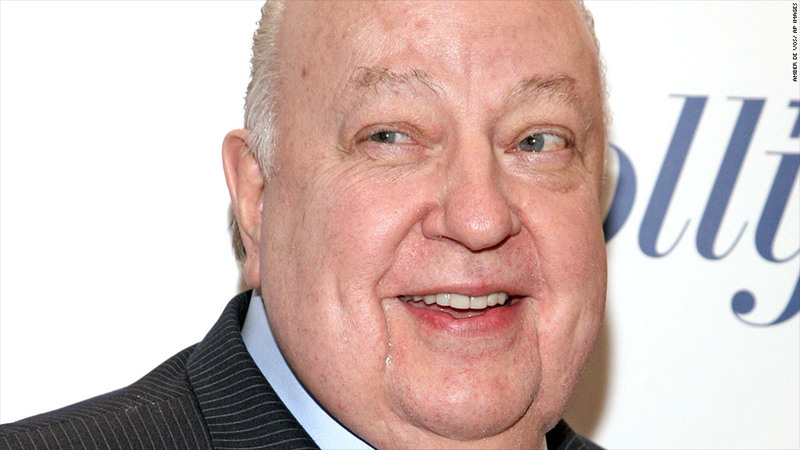 Roger Ailes declined every request to discuss the reporting with me." 3. Media types are already taking sides. The columnist and MSNBC analyst Jonathan Alter, whose own book, "The Center Holds," included reporting about Fox, wrote on Twitter that he'd read an early copy of Sherman's book and found it to be "fantastically well-reported." Alter added, "Don't believe the denials." Jack Shafer, the Reuters media columnist, similarly said in a tweet, "Who are you going to believe? Gabriel Sherman or Roger Ailes?" 4. Ailes still acts like the political consultant he once was. Ailes famously worked for Richard Nixon, Ronald Reagan and George H. W. Bush. And, according to The Times, he advised Paul D. Ryan, who was selected to be Mitt Romney's running mate in 2012, "that his television skills needed work." Furthermore, Ailes "recommended a speech coach" to Ryan. It is unknown whether Ryan took Ailes' advice. 5. A four-minute attack ad condemning President Obama that was produced by Fox News and broadcast on its morning show "Fox & Friends" in May 2012 was approved by Ailes, according to Sherman and contrary to the network's assertions at the time. Sherman writes that the video was "Ailes's brainchild," even though a Fox spokeswoman told me (when I wrote about it for The New York Times) that "Roger was not aware of the video." Sherman's book asserts that this attack ad was an example of Ailes' relentless campaign against Obama. Sherman's book is scheduled to be published on January 21, though it's possible that some copies could be put on sale before then, especially now that the leaks have already begun. I'll be interviewing Sherman on CNN's "Reliable Sources" this Sunday, January 12 at 11 a.m ET.